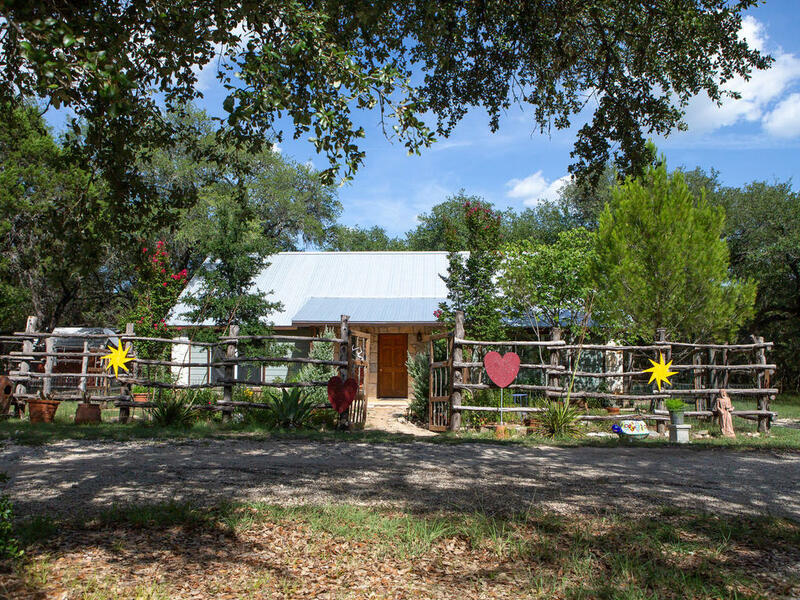 Walking distance to the river from this Charming Hill Country home. if you are looking for a weekend get away or if you just like the piece & quiet this is for you. This 2/2 home is nestled on 5.1 tree filled acres. The front garden area is beautifully landscaped. Spacious feel w/open living & dining room. Galley style kitchen w/breakfast area. French doors lead to the covered patio & large deck overlooking this beautiful acreage & its majestic oaks. RV hook ups & the 2 storage buildings convey. Directions: Form Wimberley Square left on River Rd., right on Wayside go about 4 miles then turn left on Ridge Oak(1st entrance into River Oaks). Go down to Windmill Oaks it will be the 3rd street turn right, house is first one to the right.